The current NHHC logo (click for full image). It’s on the way out as early as the end of 2013. 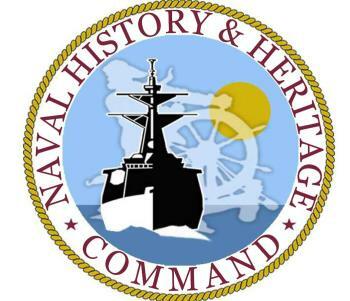 Naval History and Heritage Command is in the home stretch of a contest that’ll help create the centerpiece of its rebranding effort. Your mission: Create a logo for the command — one that promotes the command’s mission of preservation and historical outreach. 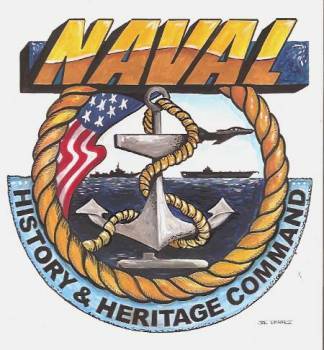 The winner’s work will be used to inspire a new official NHHC logo, which will be rolled out as part of an overall command branding effort, likely later this year. Get the rules and details here. Your prize: The knowledge that your artwork helped shape the next generation of fleet history. Also, a certificate. Many entries have incorporated modern and historic images. One potential entrant told Joseph S. Fordham, who’ll chair a panel of logo judges, that the prize was a bit skimpy. Fordham, integration manager for NHHC’s communication outreach division, and his panel will recommend three logos to Capt. Jerry Hendrix, director of the command, for his selection. Contest organizers hope to announce a winner sometime in October, Fordham said. The “fouled anchor” is a common entry theme. Entries — some of which are pictured at right, courtesy of the NHHC’s blog— have come from professional graphic artists and from sources within the fleet and even within NHHC, Fordham said. Just shy of 30 entries have been received so far, with many more artists reaching out to the command and promising a piece before the Labor Day deadline, he said. Even if you’re not a professional artist, remember — the winner’s design will be used as an inspiration for the logo; NHHC isn’t after a super-polished final product. The public will get a look at all the entries shortly after the deadline, Fordham said, and a chance to weigh in with their favorites.